Mindful Choice isn't just a name, its a deep seeded ethos. It's a belief system for leadership development that is built around the core of an individual's self-awareness. A solution that creates ownership, power, and choice to change and improve one's impact through communication, thoughts and actions. It empowers leaders to show up 100% without fear, to lead by example without exceptions, and to inspire everyone they work with to be better. 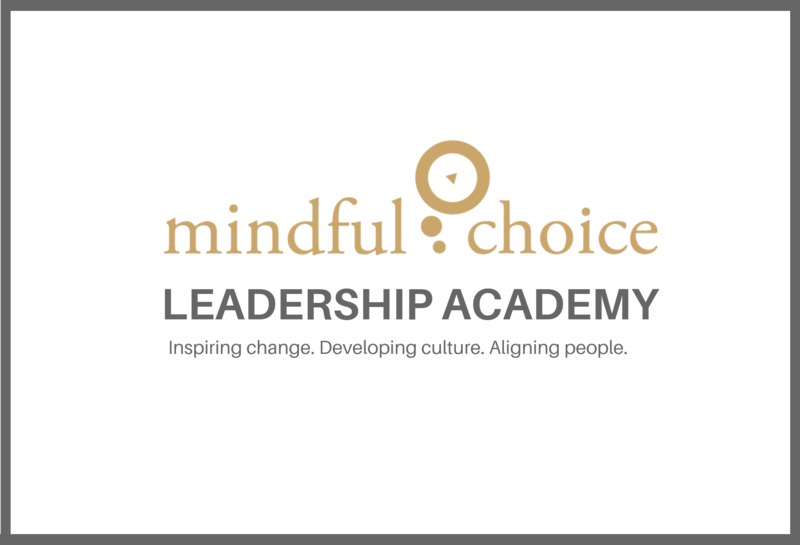 Mindful Choice offers the tools for today's greatest leaders and managers to be their best. Christie Garcia, is a Leadership Coach, Speaker, Facilitator, and the Founder of Mindful Choice. After ten years within the walls of corporate business, working as a recruiter and in sales management in the healthcare industry, Christie increasingly grew frustrated watching talented individuals be promoted to management and fail to reach their leadership potential. She began to realize that these shortcomings were a result of the lack of resources available to develop managers into great leaders. These individuals had been praised for years based upon their own individual success (the “I” mentality). However once promoted, they struggled to turn the corner and adopt a big picture perspective and the “We” mindset. There was an unrealistic expectation and lack of guidance to help them transition into this new perspective and deeper level of self-awareness. Christie realized that it was time to ditch the “old training model” and create programs focused on developing leadership effectiveness. She now seeks to reintroduce the human element into leadership development and immediately make an unignorable, positive impact on a person’s overall potential. Christie builds programs that offer solutions to empower leaders to transition out of the “I” mentality and begin to embrace the “We” in order to accomplish big-picture goals. "Christie demonstrates a sense of deep understanding and care for her clients. She helps to identify what is most important to you and then is great at putting together a plan, creating clear next steps, and holding people accountable to accomplishing what matters most. She has a bright positive demeanor that looks toward the future to identify best outcomes and scenarios." "Christie has a willingness to always be positive and actually give people tools on how to get there. It's not just a hollow "think positive" cliché, it's more think positive and this is how you get there. For someone such as myself that views the world sometimes through "rose colored glasses" I find this perspective very insightful and encouraging." "Christie has a way of calling me out when I'm not fully engaged in the conversation and she helps me to see when my body language is telling a different story than my words. My favorite part of working with Christie is how she makes me look in a mirror at the end of each day and think about if I'm really being the person I want to be." "Christie is a very strong communicator and is not afraid to get to the tuff questions and responses while keeping you intrigued and wanting to perform at a higher level." "When I think of Christie the word Sizzle comes to mind - there is an electricity, aliveness, high vibration to her…dynamic, genuine charisma. She lights up and electrifies a room." 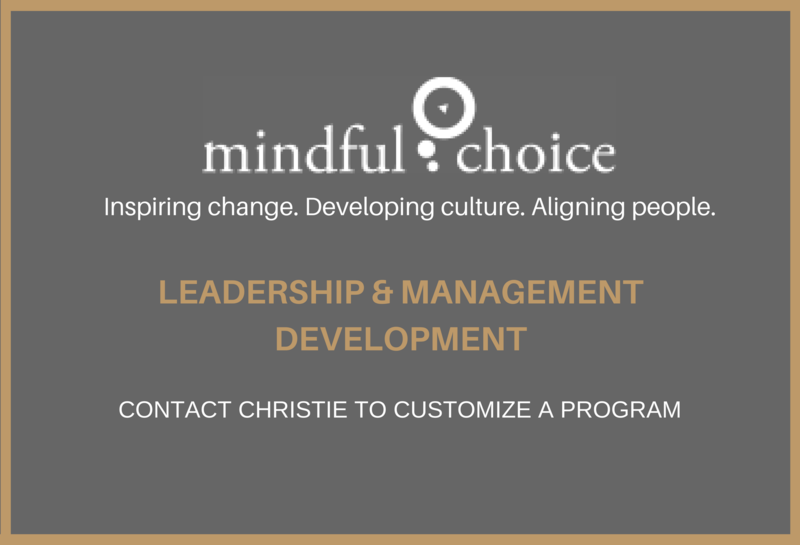 Christie specializes in EGO Managment to help leadership teams intentionally create a positive impact and the results they desire while managing the daily stress, drama, and chaos that comes with managing people . 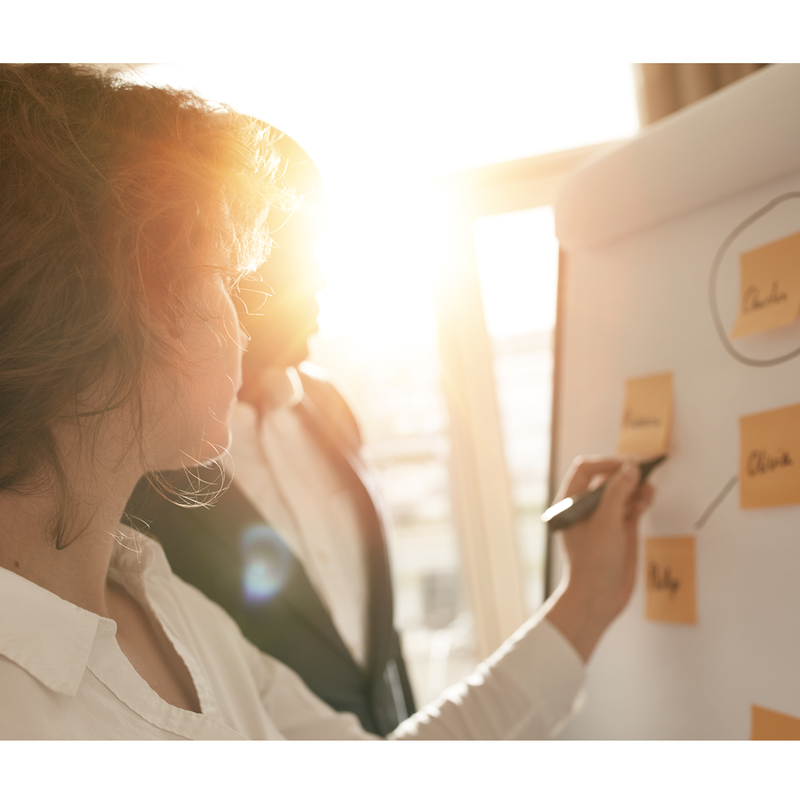 The Leadership Academy is designed to help managers, leaders, and business owners step up their leadership, improve their impact and maximize their results. This is achieved through self-awareness, ownership, communication, alignment and accountability. THANK YOU FOR YOUR INTEREST IN MINDFUL CHOICE. COMPLETE THE FORM AND CHRISTIE WILL BE IN TOUCH AS SOON AS POSSIBLE!